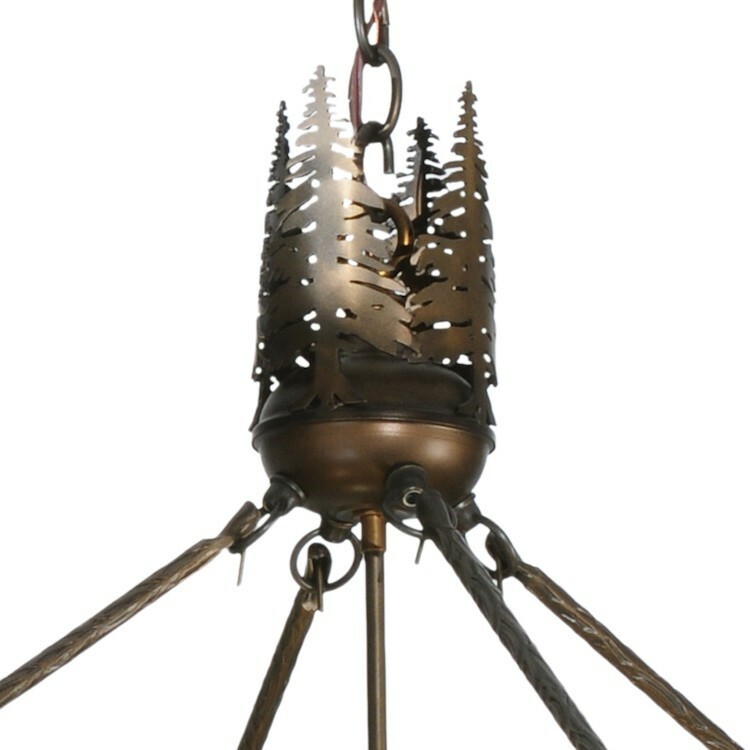 A peek-a-boo cameo of twin pine trees are captured beautifully and dramatically on this magnificent Balsam Pine Tree Pendant Light. 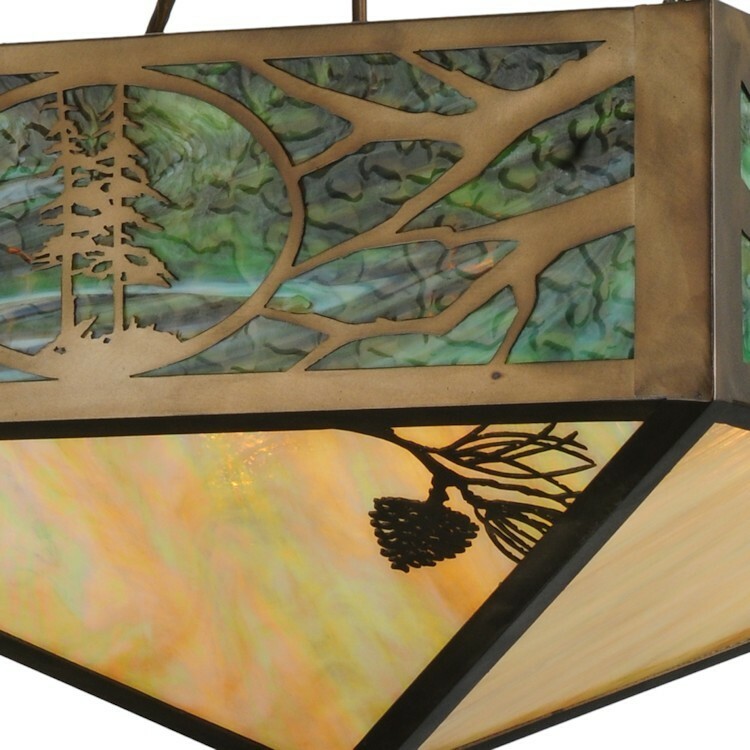 The border panel features pine branches flanked on each side in a handsome Antique Copper finish, with a stunning wilderness dusk blue/green Iridescent art glass sky background. A peek-a-boo cameo of twin pine trees are captured beautifully and dramatically on this magnificent Balsam Pine Tree Pendant Light. The border panel features pine branches flanked on each side in a handsome Antique Copper finish, with a stunning wilderness dusk blue/green Iridescent art glass sky background. 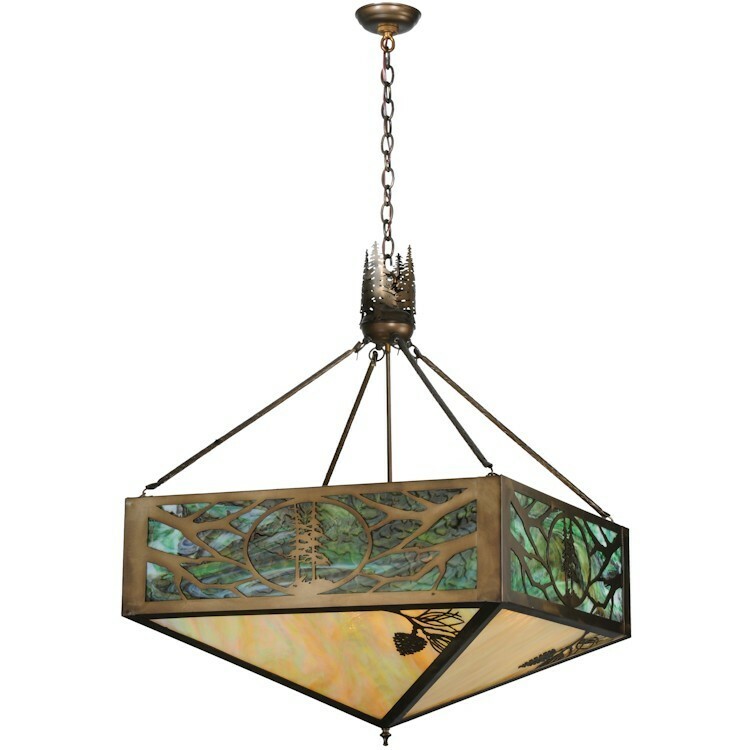 The pendant's bottom features four beige iridescent glass panels, each accented with charming pine cone and pine needles design. Size: 28.25" (Each Side)-39.5" W (Corner to Corner) x Hanging Height of 41-94"